When you input your new prices in your POS and know that your menu boards will also be updated, you realize that a single point of entry is a big deal. It halves the time you need to spend updating prices. When you’re running a busy department, that’s huge. Corrections can also be made quickly, across multiple systems. Menu A/B testing and price experimentation becomes a lot easier with an integration. You can run tests and know that the results come from real data, in real time. Product & price experimentation across your systems can help increase average ticket revenue. Menu changes en mass become easier and less reliant on operational staff at the store location to enter and update menu prices. Changes happen overnight programmatically and the new menus appear at opening. 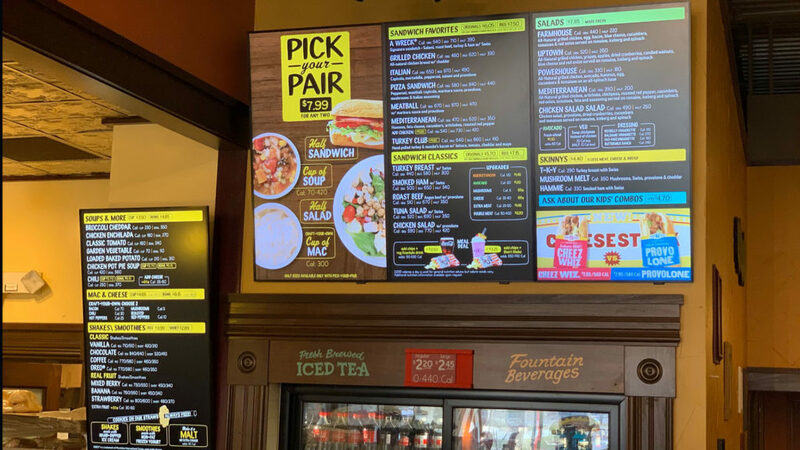 Data from the POS can be processed and trending menu items can be triggered to display more often on digital menu boards. The possibilities for artificial intelligence being applied to digital menu promotions is limitless. Speed of the integration process is a factor. If you’re just updating prices nightly, speed isn’t a great concern. But if you’re trying to do real-time order confirmation, you need immediate data from the POS to appear on the digital order screens. There are a wide range of systems, some running locally and others in the cloud. Consideration of your long-term requirements should factor into your choice of POS systems. We have partnered with several POS companies and provide varying levels of integration with each. Contact us to day for a free consultation!